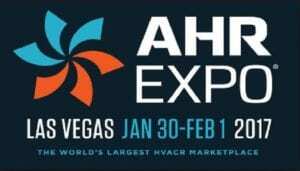 AHR 2017’s New Technology & Industry Best-Practices Highlight the Largest AHR Educational Program Ever! With over 75 seminars, technical sessions and certifications offered at the Convention Center, there’s something new to learn at the Show. Many are free with no advance registration necessary. Use the Online Interactive Floor Plan to Map Out Your Time More Effectively! Visit the Building Automation & Control Showcase: With more than 140 exhibitors, this special section is the go-to place on the Show floor to immerse yourself in the latest automation technology. Find BAS solutions to monitor and integrate HVAC and other systems as well as the latest controls to enhance system performance. Whether you’re looking to address current project needs or want to stay on top of building automation trends, this is a great place to start.